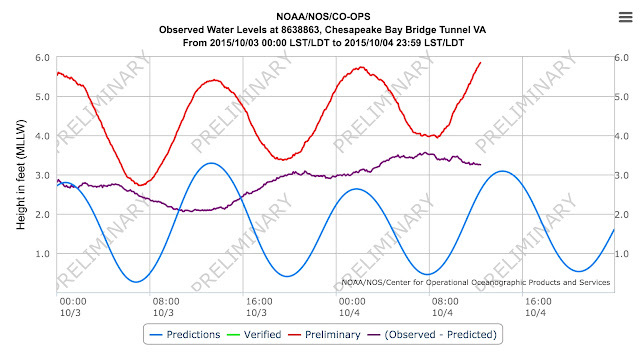 The line of interest is the purple plot showing the delta between the predicted tide height (blue line) and the actual water height (red line). 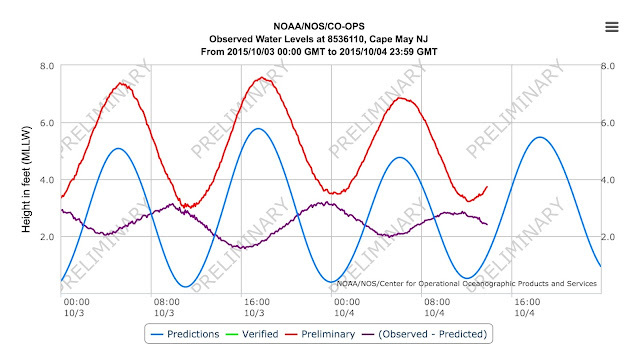 You can see that on 10/4/2015 the water was 3.5 ft higher than predicted by the tide tables! Cape May Canal. Very important if you take the Cape May Canal. Charleston at Port of Charleston Pier. Check for water levels vs tides in Isle of Palms. Oyster Landing near Georgetown, SC. Check for water levels vs tides in Isle of Palms. Fernandina Beach in Florida. Check for water level vs tides for Fernandina Shallows and also a hint on the state of the water in Jekyll Creek north of there. For a complete list of all water level stations, see the NOAA water level site. You can click on "Show Data Listing" for the numbers in addition to the plots. I've noticed that when accessed on my iPad I get all three plots but when looked at on my laptop I only get the red and blue lines but I always use my iPad anyway. 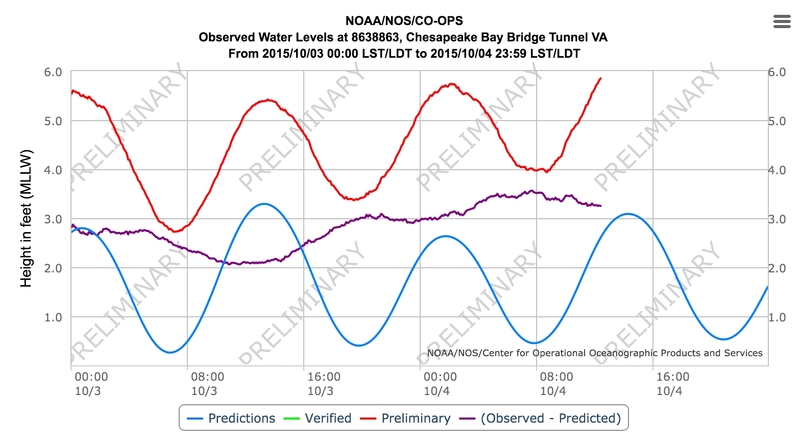 When planning your next passage, it never hurts to check on the predicted tide height vs actual, it only takes a minute and it could save you a lot of grief.